With CNBC in the U.S., CNBC in Asia Pacific, CNBC in Europe, Middle East and Africa, CNBC World and CNBC HD, CNBC is the recognized world leader in business news and provides real-time financial market coverage and business information to approximately 385 million homes worldwide, including more than 95 million households in the United States and Canada. CNBC also provides daily business updates to 400 million households across China. The network's 15 live hours a day of business programming in North America (weekdays from 4:00 a.m. - 7:00 p.m. ET) is produced at CNBC's global headquarters in Englewood Cliffs, N.J., and includes reports from CNBC News bureaus worldwide. 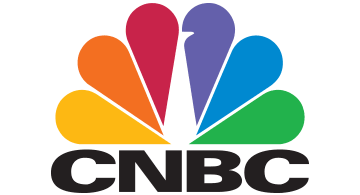 CNBC at night features a mix of new reality programming, CNBC's highly successful series produced exclusively for CNBC and a number of distinctive in-house documentaries. CNBC also has a vast portfolio of digital products which deliver real-time financial market news and information across a variety of platforms including: CNBC.com; CNBC PRO, the premium, integrated desktop/mobile service that provides live access to CNBC programming, exclusive video content and global market data and analysis; a suite of CNBC mobile products including the CNBC Apps for iOS, Android and Windows devices; and additional products such as the CNBC App for the Apple Watch and Apple TV. Members of the media can receive more information about CNBC and its programming on the NBCUniversal Media Village Web site at http://www.nbcumv.com/programming/cnbc. For more information about NBCUniversal, please visit http://www.NBCUniversal.com.